Merry Maids of Wigan provide domestic cleaning services in Wigan, East Lancashire, Aspull, Parbold, Lowton and the surrounding areas. Specialists in domestic cleaning services in Wigan and the industry leader, we offer weekly, fortnightly, monthly and one-off domestic cleaning services in Wigan, Aspull, Parbold, Lowton and the surrounding areas. Many years experience in domestic cleaning has taught us that every home is as unique as the people living there, thus we customise our domestic cleaning services in Wigan and East Lancashire to suit your home and your lifestyle. We pride ourselves on ensuring our customers receive a thorough clean each and every time. Merry Maids provide a satisfaction guarantee for a home cleaning service in Wigan that you can rely on. All of our staff are reference checked, uniformed and we supply all of our own cleaning products and equipment. We are fully compliant with Health & Safety procedures. 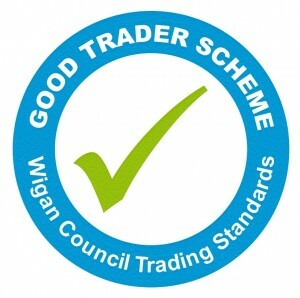 We are also part of Wigan Council’s Good Traders Scheme. The scheme has been introduced by Wigan council to help residents when choosing a reputable business to undertake work around the home. Choosing a cleaner in Wigan can be a difficult task, as you need to use a trusted and professional cleaner in Wigan. We have been selected and are now on the board of Good Traders as chosen by Wigan Council. We are also Trading Standard approved for our domestic cleaning services in Wigan and East Lancashire. So whether you are looking for a cleaner to help relieve some of your precious time, you are preparing for an extra special event or perhaps you need a little help due to an illness or injury, Merry Maids of Wigan and East Lancashire can help! Our domestic cleaning services in Wigan are tailored to your requirements. 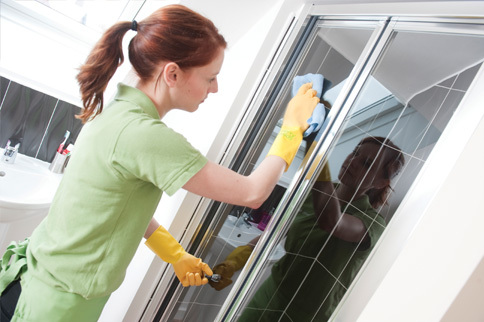 We visit every single one of our customers to define their idea of a clean home and prepare a quotation surrounding this. You choose what you want cleaning, and when you would like your home cleaning in Wigan and East Lancashire and we’d be happy to clean your home for you! For further information on any of our domestic cleaning services in Wigan and East Lancashire, if you have any questions or if you would like to arrange visit then please do not hesitate to contact us by email from here at wigan@merrymaids.org.uk or by phone on 01942 418831! 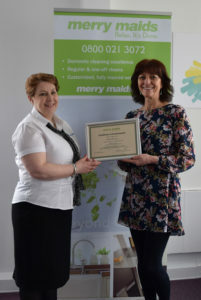 Merry Maids of Wigan is a family-run business taken over by Angelika in early 2018. In addition to several years of hands-on experience in domestic cleaning, Angelika has a background in customer services, meaning she is fully focused on ensuring clients are satisfied, and receive the quality cleaning they expect in their homes. Merry Maids offers weekly, fortnightly, monthly or as required domestic cleaning services in Wigan and East Lancashire and the surrounding area. We also provide Spring cleans, house moves and short term clean. 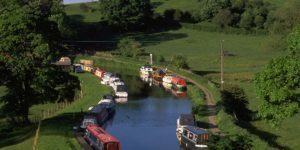 Our office is based in Wigan meaning customers benefit from a local team that doesn’t have to travel far to get to your home. All of our staff are reference checked, uniformed and based in the local area. We supply all cleaning products and equipment and are fully compliant with Health & Safety procedures. Our staff are fully insured to protect against accidental breakage and we treat customers’ homes, keys and belongings with utmost care and respect. We are confident about the quality of our services. However, for customers’ peace of mind, we offer a satisfaction guarantee. Should a customer be unhappy with any aspect of our service, they can simply contact us within 24 hours and we will return and rectify the problem. Merry Maids of Wigan and East Lancashire provide domestic cleaning services in Wigan Aspull, Parbold, Lowton, Standish, Dalton, Skelmersdale, Upholland, Ashton-in-Makerfield, Westhoughton, Farnworth, Leigh, Bickershaw, Ormskirk and surrounding areas. 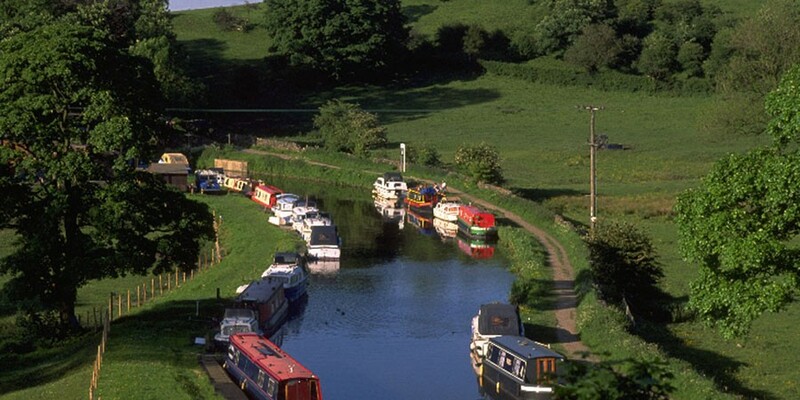 Our team works out of our office in Lancashire. 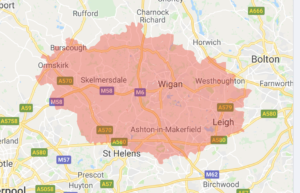 Merry Maids of Wigan provide domestic cleaning services in Wigan and East Lancashire to the following Wigan postcodes: BL5 2, BL5 3,L39 0 to L39 9, L40 5,L4O 6, L40 7, M46 0, M46 9, WA11 0, WA11 9 ,WA12 0, WA12 9, WA3 1, WA3 2, WA3 3, WN1 1, WN1 3, WN2 1, WN2 2, WN2 3, WN2 4, WN2 5, WN3 4, WN3 5, WN3 6, WN4 0, WN4 8, WN4 9, WN5 0, WN5 7, WN5 8, WN5 9, WN6 7, WN7 1, WN7 2, WN7 3, WN7 4, WN7 5, WN8 0, WN8 6, WN8 7, WN8 9. If you are unsure if we can clean in your area, check out our map or give us a call on 01942 418831! We carry out regular domestic cleaning services on a weekly, fortnightly or monthly basis as required, tailored to our customers’ needs. At each home we adhere to a rigorous cleaning process using different coloured cloths for certain areas (to avoid cross contamination) and a fresh set of materials for each clean. Our services are based on customers’ individual requirements, outlined together during our free home visit. Merry Maids of Wigan and East Lancashire provides one-off cleaning services, tailored to customers’ specific needs and circumstances. 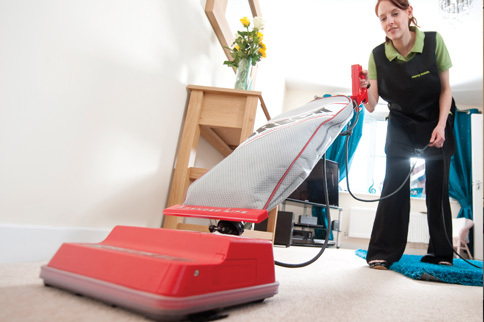 We also provide oven cleaning and co-ordinate carpet cleaning where required. Merry Maids partner regularly with letting agents and private landlords, providing tenants and property owners with all required cleaning services. We provide deep cleaning when tenants move in or out of a property, and offer a service to landlords and letting agents to clean communal areas on a regular basis. Carpet cleaning coordinated where required. 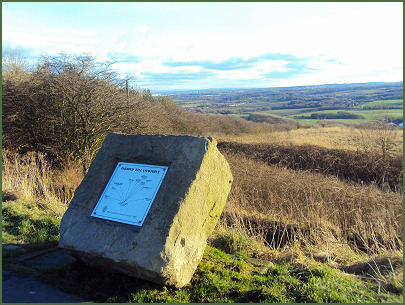 Are you interested in becoming part of the team Merry Maids of Wigan and East Lancashire? We are currently looking for hardworking, professional and reliable individuals to add further value to our growing team. NB: All applications are held for future vacancies. My husband arranged a clean for me while I was in hospital, what a pleasant surprise when I came home. Having had three quotes I had cleaners who were the cheapest but did not come up to scratch, we decided to go with Merry Maids. What a difference! Everything you said you do you did, it was also a plus to have the same team every week. Thank you Merry Maids. Thank you for bringing your Merry Maids to clean my house after my Vileda win, it was lovely to have my house cleaned, I was delighted. Thank you again, I WAS TRULY LUCKY ENOUGH TO WIN THIS PRIZE. I am very impressed with your company, from the first contact to your excellent work yesterday, you are professional in all you do. Many thanks. A first class service provided and an outstanding finish! What a marvelous job you have both done! The clean was excellent and attention to detail was the best I have ever had from a cleaning company. Sharon has a great attitude to her work, very professional and very polite. Its a good job she likes dogs! Thank you.